The proper Equestrian surfaces are very important for everyone that is involved in the equine industry. Safety is paramount for the horse and rider and everyone that is involved in walking around the stable and racetrack areas. 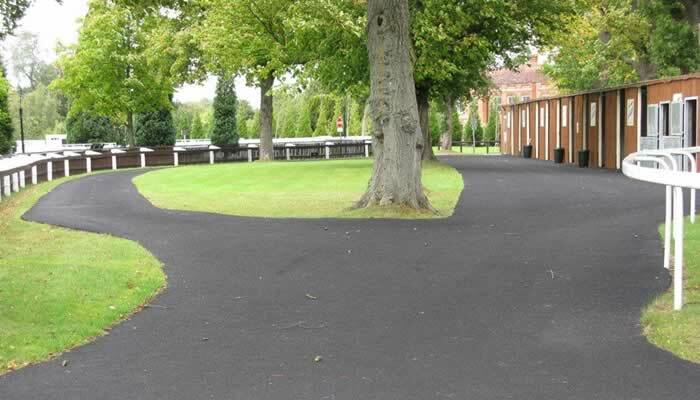 Using a rubber surface in Equestrian areas is ideal whether it is being used indoors or outdoors, as rubber chips and rubber bark is very durable. There is good drainage in the wet and it resists freezing in the cold weather. The hard wearing barks aren’t affected by wind and so there is little risk of the underlying sand blowing around and creating dust. Rubber equestrian surface is very beneficial to the horse and riders alike. 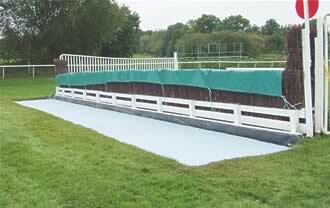 The surface absorbs impact and gives spring and reduces the risk of injury to rider and horse in the event of a fall. Boynton's rubber was recently used at Cheltenham, Lingfield, Newbury and Huntingdon Racetracks. 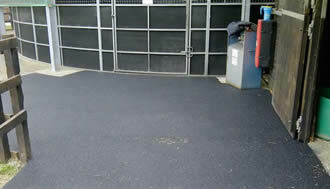 A specialised rubber size is created for permanent rubber floor stables, walk ways and horsewalker surfaces. Superior rubber surfaces enables improved safety for the valuable racehorse industry. Training yards and studs also benefit from Boynton’s rubber as it is often used as a walkway for exercise walkers, stables as well as non slip surfaces around the yard.